The cinematic art of film noir-the dark, fascinating American movie genre that started 75 years ago, was rediscovered in the '70s, and has a worldwide cult following today-is showcased in Into the Dark. You know film noir when you see it: the shadowed setting; the world-weary detective; the damsel in distress; and the twist of fate. Into the Dark captures this alluring genre with a cavalcade of compelling photographs and a guide to its best films. Author Mark A. Vieira takes readers on a year-by-year tour of the film factories that made these movies, profiling the artists who worked on them, and explaining how they accomplished their moody lighting effects. 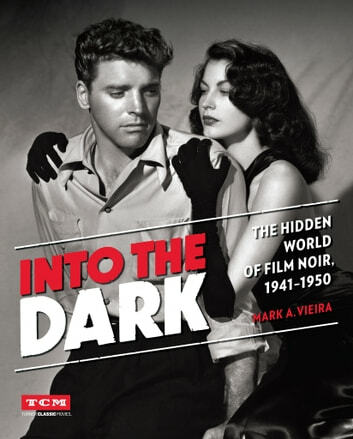 Into the Dark also tells the story of film noir with quotes from the filmmakers and vintage reviews, taking readers to the exciting nights when Murder My Sweet, Out of the Past, and The Big Heat were sprung on an unsuspecting public. And You Thought You Knew Classic Movies!